A true musical theatre phenomenon, CATS opened at London's New London Theatre on May 11, 1981 and ran for a record-setting 21 years. CATS' London success was nearly matched on Broadway where it ran at the Wintergarden Theatre for just over 18 years. Based on the universally popular poetry of T.S. 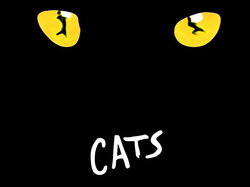 Eliot, CATS tells the story, in song and dance, of the annual gathering of Jellicle cats at which time one special cat is selected to ascend to the Heaviside layer. Never before produced at Clinton Area Showboat Theatre, CATS is sure to dazzle audiences "now and forever." 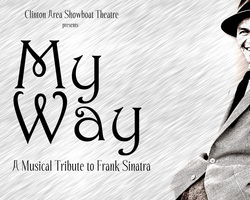 My Way is the ultimate music revue featuring the memorable and legendary music of Frank Sinatra. Featuring incredible songs like All of Me, The Best is Yet to Come, Chicago, Fly Me to the Moon, It Was a Very Good Year, I've Got the World on a String, My Funny Valentine, My Way, One for My Baby, The Way You Look Tonight, Where or When and many others. My Way has been a smash hit at professional theatres across the country and is sure to be a great night of theatre at Clinton Area Showboat Theatre. The characters that we know and love from the classic stories by Dr. Seuss come to life in this fun family musical. Written by the Tony & Grammy Award winning team that created Ragtime and Once on this Island, Seussical is fun for the whole family. 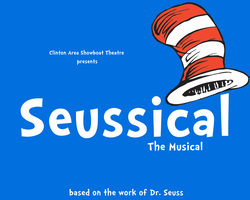 Don't miss The Cat in the Hat, Horton, Gertrude, the Sour Kangaroo and The Whos on the Clinton Showboat stage in a production that will have you leaving the theatre whistling the memorable tunes. A special $5 price for kids ages 12 and under make this the best time for the entire family. "You'll laugh and cry with this beautiful tribute to friendship, community and the power of the human spirit." Shelby’s wedding day nears, so the beauty shop ladies of Chinquapin Parrish, Louisiana - delicate as magnolias but tough as steel – have a lot to talk about. 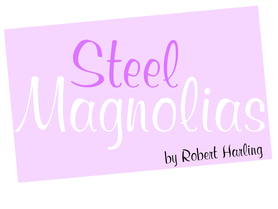 From the new assistant who announces, “I promise that my personal tragedy will not interfere with my ability to do good hair”, to the town matron who declares, “I'm not crazy…I've just been in a very bad mood for 40 years!”… both hilarious and touching, Steel Magnolias is sure to be the feel-good hit of the season! One of only eight musicals to win the Pulitzer Prize, Next to Normal is the most poignant story to appear onstage in years. Dealing head-on with the issue of mental illness and its effect on our culture and our families, N2N tells the story of a mother's struggles with her worsening bi-polar disorder and her attempt to protect her family from it's increased severity. Nominated for eleven Tonys and three wins, N2N has been hailed as a landmark achievement for the American Musical Theatre.